We released Visual Studio 2015 RC which included ASP.NET 5 Preview. Along with ASP.NET 5 Preview we have also been working on improving ASP.NET 4.6 which includes Web Forms, MVC 5 and Web API 2. This post highlights updates in this area. We are releasing ASP.NET Identity 2.2.1. The main focus in this release was to fix issues reported in 2.2.0 release. We are releasing the final version of ASP.NET Identity 2.2. The main focus in this release was to fix bugs and address performance issues. We have also made the source code publicly available on aspnetidentity.codeplex.com and will be taking contributions to the project. If your application is using ASP.NET Identity or other membership systems such as SQL, Universal or Simple membership, then you might be running into the following issue. In Visual Studio 2013, there were a handful of templates that supported developing ASP.NET projects with various frameworks and data structures. Some of those project templates from the Visual Studio 2012 era have been removed from the Visual Studio 2015 install and added to the Visual Studio Extension gallery as the ASP.NET Project Templates extension for Visual Studio 2015. This post is for developers that have been using the Microsoft Owin components (e.g. the Katana project) and want to know how it relates to ASP.NET 5. As discussed in Katana’s roadmap, the next major version of Katana is being fully integrated into ASP.NET 5. We are releasing a preview of ASP.NET Identity 2.2.0-alpha1. The main focus in this release was to fix bugs and address performance issues. 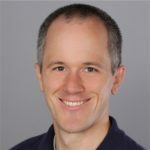 We are releasing another preview of the Microsoft Azure WebJobs SDK, which was introduced by Scott Hanselman. To read more about the previous preview, read this announcement post. This release has the same general feature set as 0.5.0-beta as well as a few new exciting ones. The jQueryUI team released a new version of their library recently. This release has some changes which will impact your apps as you migrate to 1.11.0. This post will highlight the changes you need to do to use jQuery.UI.Combined NuGet package. We are releasing RTM of ASP.NET Identity 2.1.0. The main focus in this release was to fix bugs and add SignInManager to make it easier to use security features such as Account Lockout, Two-Factor Authentication for login. ASP.NET Identity 2.1 is included in the ASP.NET templates which were released with VS 2013 Update 3.